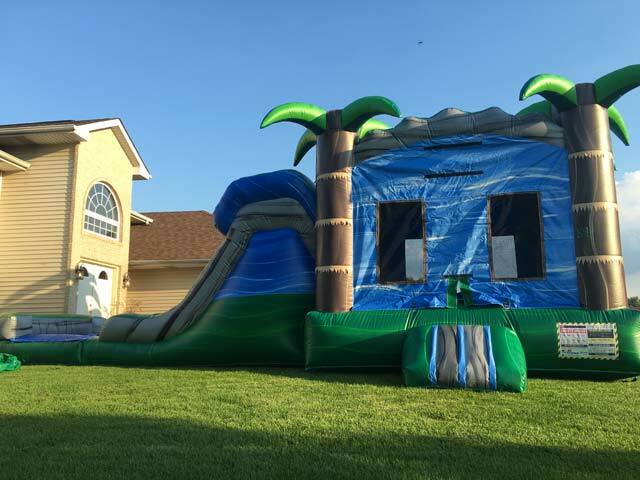 The Tropical Combo Water Slide includes a bounce area, basketball hoop, and dual 14ft slides. Themed with tropical palm trees. This unit requires 1 blower, and 1 outlet. See below for Calendar Availability! Themed with tropical palm trees.